Advancing more than 450 meters into the sea, the Molhe da Barra Sul – Centro lies close to the central beach and is an ideal place to take photos of the distant city view and the sea. 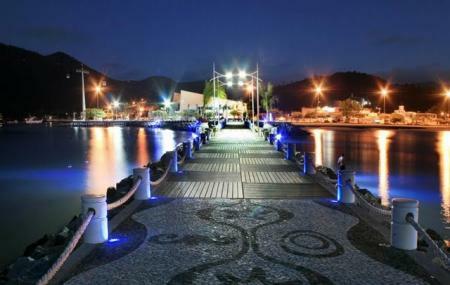 The pier pathway is lit after dark and turns into a romantic place for a late evening stroll for locals and tourists alike. Do carry your camera to capture the beautiful pier forever in your memories. Visit the nearby Unipraias Park. How popular is Molhe - Barra Sul? People normally club together Parque Unipraias Camboriu and Praia Das Laranjeiras while planning their visit to Molhe - Barra Sul.